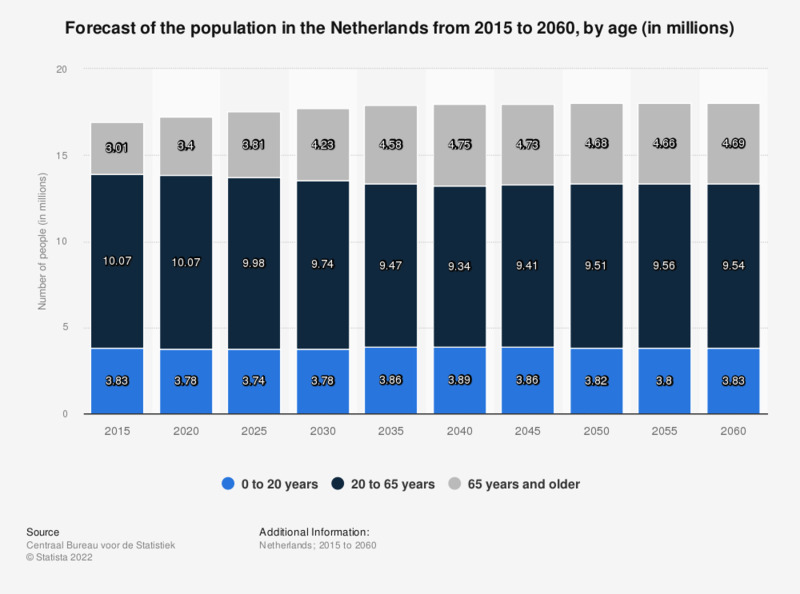 This statistic shows the forecast of the population in the Netherlands from 2015 to 2060, by age. It reveals that a decreasing working population (20 and 65 years) between 2015 and 2060 has to support an increasing non-working population. Although the number of people younger than 20 will apparently remain relatively stable throughout this period, the number of people over 65 will likely grow by 1.7 million people, from 3 million in 2015 to 4.7 million in 2060. In the same period, it is predicted that the working population will decrease from 10 million to 9.5 million.